Personal Safeguards Group, LLC (“PSG”) has launched marine and RV limited warranty programs to assist OEMs with offering longer term limited warranties while transferring the risk off the balance sheet with a financially secure solution. Custom programs are designed to support promotional or blanketed programs with coverage for parts or parts and labor. This entry was posted in Marine, RV and tagged Personal Safeguards Group on December 14, 2018 by Editor. Personal Safeguards Group, LLC, a leading specialty insurance and warranty advisory and brokerage firm, launches a new Auto and Home Deductible Reimbursement Insurance solution for Affinity Marketers, OEMs, Financial Services firms and Sellers. This entry was posted in Appliance & Electronics, Automotive, Enhancement Solutions, Financial Services, Home Warranty and tagged Auto Deductible Reimbursement, Home Deductible Reimbursement, Personal Safeguards Group on March 6, 2017 by Editor. Having Trouble Sourcing a Service Contract Reimbursement Policy for a Client? If you are a P&C Agent or Broker trying to help a client obtain the correct type of insurance policy for state level compliance or lender requirements for a Service Contract Provider please feel free to contact Mike Frosch, President of Personal Safeguards Group, LLC. This entry was posted in Appliance & Electronics, Automotive, Financial Services, Furniture, General, Home Warranty, Insurance Carriers, Mobile Electronics, Powersports, Regulatory, Technology, Tools & Equipment and tagged Contractual Liability Insurance Policy, Contractual Liability Reimbursement Insurance, Dealer Obligor, Personal Safeguards Group, Service Contract Reimbursement Insurance on July 11, 2016 by Editor. This entry was posted in Automotive, Regulatory and tagged Contractual Liability Insurance Policy, Contractual Liability Reimbursement Insurance, Personal Safeguards Group, Service Contract Reimbursement Insurance, Vehicle Service Contract on June 7, 2016 by Editor. Personal Safeguards Group, LLC has published a paper titled “Unleash the Value – Direct Marketing Vehicle Service Contracts.” This paper is related to direct to consumer Vehicle Service Contract programs. This entry was posted in Automotive and tagged Personal Safeguards Group, Vehicle Service Contract on September 30, 2015 by Editor. Article and process flow from Personal Safeguards Group, LLC on forming a Vehicle Service Contract obligor/provider. This entry was posted in Automotive and tagged Obligor, Personal Safeguards Group, Vehicle Service Contract on July 2, 2015 by Editor. Part Two – Personal Safeguards Group, LLC consumer survey related to Vehicle Service Contracts. 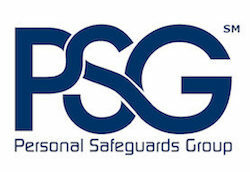 About Personal Safeguards Group, LLC Personal Safeguards Group, LLC (PSG) is a warranty and specialty insurance consulting and brokerage firm serving the automotive, appliance & technology, affinity and financial services industries. PSG works with industry leading and highly rated Insurance Carriers, Service Contract Providers, Obligors, Administrators, Marketers and Services Partners to develop unique solutions for its clients. This entry was posted in Automotive and tagged Personal Safeguards Group, Vehicle Service Contract on January 26, 2015 by Editor. Personal Safeguards Group, LLC has recently completed a consumer survey related to Vehicle Service Contracts and other ancillary service contract products. This entry was posted in Automotive and tagged Personal Safeguards Group, Vehicle Service Contract on December 31, 2014 by Editor. There have been several articles in the news related to consumers that purchased a Vehicle Service Contract (VSC) from a Direct Marketer and have had challenges getting a refund. The consumer may have purchased the VSC on the web or in response to a mailer or a call. This entry was posted in Automotive and tagged BBB, Contractual Liability Reimbursement Insurance, Personal Safeguards Group, Service Contract Reimbursement Insurance, Vehicle Service Contract on October 8, 2014 by Editor.